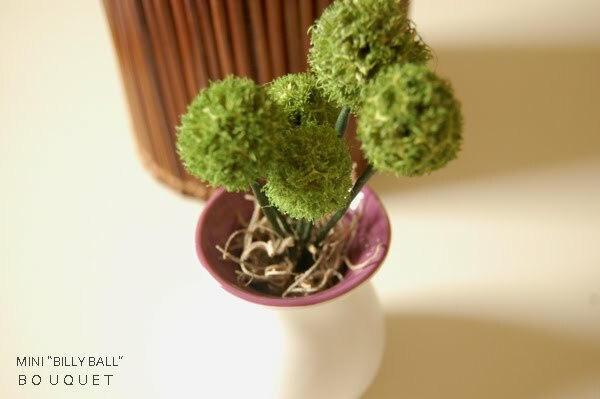 I have become mildly obsessed with creating these little "billy ball flowers" out of dried bur, ever since sharing this post about making them. I especially like that they don't require water or sun to stay alive. And now I have a good excuse to pick up cute little vases too - I grabbed this purple lined one from crate & barrel and made a simple bouquet for a friend's birthday. those are completely adorable and make such a cute gift/decoration! So cute! 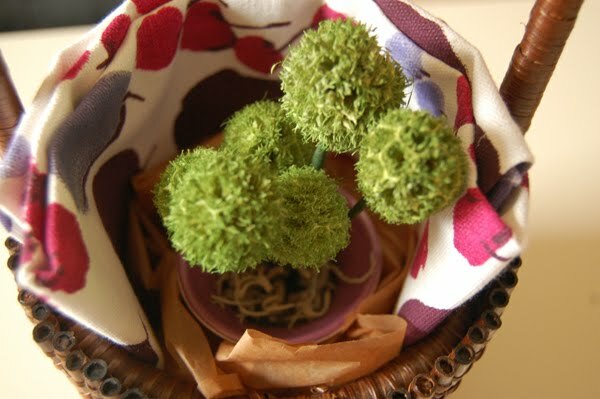 I love this type of 'flower' too, I love not having to worry that I might bring them to an early demise! billy balls are soo adorable hehe!! So adorable! 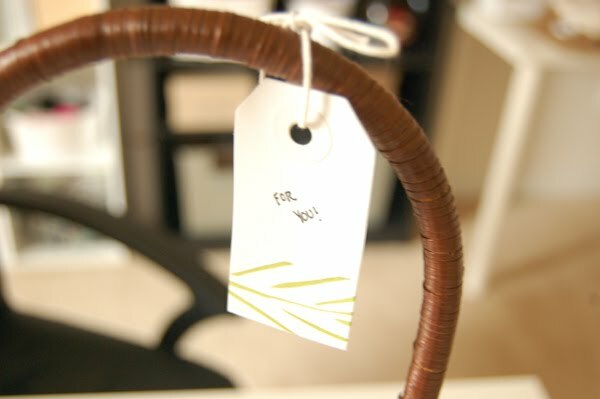 I would love to receive this - it's so heartfelt and creative! These are awesome...might need to try ASAP! Beautiful :) I would like one!